My personal experience and opinion related to writing nonfiction books is that it is something that is relatively easy to do when compared to fiction writing. That is not to say that writing nonfiction books does not take talent, knowledge and effort. It simply means that nonfiction book writers have a wealth of information available to them. They can pull from personal experience, topics of interest, creative ideas that occur to them for process improvement, mounds of information and research already in existence, and other real-world subjects when crafting their books and articles. Their audience is a never-ending group of readers seeking personal enrichment, information, and self-improvement. If you choose the right subject matter, you can create an evergreen source of income. That means that the content will continue to appeal to readers for years to come if you do not date it (e.g. web domains that change, discuss current trends and issues, talk about dates, and other information that ties content to a specific time in history). One way around this problem is to update eBooks regularly to ensure that information stays current. Unlike nonfiction book authors, fiction writers often struggle with creating settings, characters, dialogue, and situations through which they craft stories. Their market is also smaller since people normally read fiction books for pleasure, relaxation or escape from reality. They do not have to read the books. Instead they search them out as desired. Even so, this genre can provide an ongoing future stream of revenue if it is well written and received by readers. If your goal is personal satisfaction instead of using your nonfiction book writing for financial gain, fame, or as part of a broader plan for personal or business branding, then this type of book can help. By writing and publishing a book that provides solutions to problems, expands on a body of information, and helps educate or train others in a variety of skills, you become an instant expert. This can help immensely if you are trying to better position yourself for a higher salary, become a noted resource, or create a platform to grow your business. 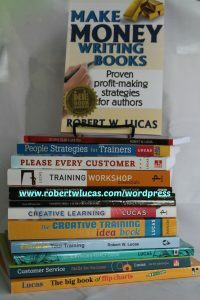 If you choose your topic wisely after researching audience need and competing publications or information sources, you can create a solid stream of primary or residual income by writing nonfiction books. Membership organizations for customer service professionals (e.g. International Customer Service Association, National Customer Service Association, and Customer Service Professionals Network). Read articles on the Internet. Join social media groups that cater to customer professionals in different categories. Attend local professional meetings and conferences to meet customer service professionals. Next, make sure to identify all serious competition. Search bookstores, libraries, and the Internet for titles. Amazon is a great source since they not only list millions of titles, but also show the ranking of any given book in a category. Find the top five books that you see as competition. Then, either go to a library or bookstore or order copies to review their content. If you buy them, save the receipt since you can write these off as a business expense at tax time if you itemize your taxes. After you are sure that you have the right topic, you can get started on your next masterpiece. For ideas and strategies on successfully writing nonfiction books, search this website and the Internet for related topics. 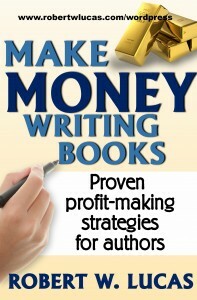 Do you have ideas for successfully writing nonfiction books for profit, fame and personal satisfaction? If so, please share one here. This entry was posted in nonfiction book writing, writing a nonfiction book and tagged make money writing nonfiction books, writing nonfiction books, Writing Nonfiction Books for Profit. Bookmark the permalink.